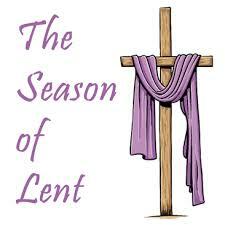 It’s Lent Again!!! Oh No!! IT’S LENT AGAIN!!!! OH NO!!! How crazy is it that Ash Wednesday falls on Feb. 14th which is Valentines Day? As usual abstinence and fasting are required on Ash Wednesday. So I started thinking, well… this is going to be a fun date night, when most people take their spouse or significant other out for a movie, a nice dinner at a fancy restaurant. Couples spending time together is always a good thing. But here is the rub if you will, you can enjoy the movie, but when you get to the restaurant, you can talk about what you would have had if it wasn’t Ash Wednesday, because basically what I’m saying is this “you can stare at the steak or other entrées but you cannot touch. I am hilarious, aren’t I? Back to Lent, yes, it’s that time again when we have to decide on what we are going to give up for a sacrifice or better yet, what can I do for six weeks or so to improve my relationship with Jesus Christ. I can almost hear you ask me the question “Deacon, what should I do this year”? I’m so glad you asked. There are several things you can do besides the normal abstaining and fasting requirements of the Church. For instance if you are a woman 18yrs or older you could join us on March 17th -18th for our annual “Christ Renews His Parish” retreat weekend. Not only will this be a blast but your relationship with God and the MQH family will grow tremendously. You could join us on Wednesday nights starting on February 21st for four consecutive weeks where our knowledgeable, energetic, and extroverted Parish Council President Walt Mace will be doing a Bible Study on the Gospel of John. Walt Mace is very engaging, and a great story teller. The bible study will take place right after the Wednesday evening Lenten mass. It will be held in the library. You could also decide to spend an hour or so with our Lord Jesus Christ in adoration on Thursdays from 9am till 5pm. Adoration is when we expose the Blessed Sacrament on the altar and we sit with Jesus while praying, reading the bible or some other spiritual book. Since Valentine’s Day is on Ash Wednesday this year, don’t give up chocolate. I can’t remember when chocolate hurt my relationship with Christ. Do something different do something that really matters, do something that will have a lasting effect on you throughout the rest of the year.